 The Hillsdale County Community Foundation is reminding students of the 2018 deadline for scholarship applications. HCCF Scholarship applications are due each year by 4 pm March 1st. The HCCF office is not open on the weekends, and applicants submitting in person are required to turn in all application materials by 4 pm on Thursday, March 1st. The 2018 HCCF scholarship book and application form is available from area high school guidance counselors, the Foundation office, or online at www.abouthccf.org. •a complete copy of the Student Aid Report (after filing the FAFSA). Certain scholarships may require additional or specific items, so applicants should be aware of the criteria for each scholarship for which they are applying. HCCF would also like to stress that the Foundation is not responsible for applications delayed or lost in the mail. Please send applications early enough to allow yourself time to call the HCCF office for verification of receipt by March 1st. This deadline applies to all new scholarship applications as well as applications for scholarship renewals for previous awards. In 2017, the Hillsdale County Community Foundation proudly awarded scholarships worth more than $160,000 to Hillsdale County residents to assist in furthering their educational aspirations. Scholarship awards vary in size and number, and each is a gift from members of our community who believe in the power of an education. The Foundation offers scholarships to current high school graduates as well as non-traditional students. If scholarship applicants have any questions, they may contact the HCCF at 517-439-5101 or visit the office, located at 2 South Howell Street in downtown Hillsdale. Information is also available online at www.abouthccf.org.